Such is life, and all of the strange little balances, and imbalances that still create the perfection of the yin and the yang of the ever changing world of our lives. Materials/Techniques: Liberated free-pieced cottons and a variation of free motion quilting styles and off-kilter cut edges creates the balance of both yin and yang in this piece. Artist Statement: I love the Haiku of Kobayashi Issa, a Japanese poet whose poem "Don't worry, spiders, I keep house casually" became the inspiration for this art quilt. I love the contrast of the perfection of a geisha, with the seemingly imperfect world of liberated piecing, quilting, housekeeping, and of course...the spider. Dedication: To all of us who are "seemingly less than perfect", but who all deserve a space of our own in this world...a space where we are both loved, and appreciated for our unique perfection within. Click to purchase and own this little quilt. Please remember..while you can...that your purchase is truly a donation to Alzheimer's research funding...save my sanity as well as your own, as the spiders invade 50% of our mental houses with time. Materials/Techniques: Free-pieced and raw edge applique combined with free motion quilting with metallic threads and beading. Artist Statement: The word 'Geisha' is derived from two Japanese symbols. One stands for "art" and the other "artist." A Geisha was both an artisan trained in the highest art form of traditional Japanese entertainment, and an artist of song, dance and elegant tea ceremonies. Our misunderstanding of the geisha and her purpose in the world symbolizes so many other judgments and misunderstandings we often have of others. Dedication: For my mother, who loved all things Japanese, and for my father, whose youngest brother was shot down by a Japanese bomber during WWII. Alzheimer's or dementia took over each of them and taught them that acceptance and love are what matters most in life. Please love one (if not both of these art quilts) and consider a purchase of either of them, today! 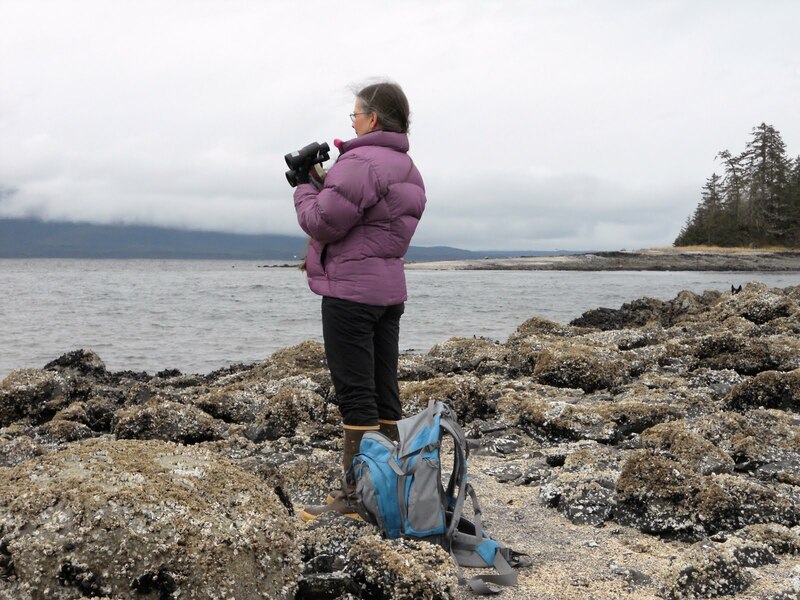 Michele Bilyeu blogs With Heart and Hands as she shares a quilting journey through her life in Salem, Oregon and Douglas, Alaska. Offering thousands of links to Free Quilt and Quilt Block Patterns and encouraging others to join in the Liberated Quilting Challenge and make or donate small art quilts to the Alzheimer's Art Quilt Initiative (AAQI) Help us change the world, one little quilt at a time! More beautiful quilts Michele. You've raised many funds for AAQI and I'm sure that your work is making a difference. 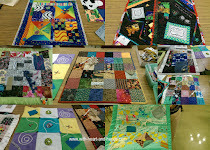 For those of you who have never been to Jan's blog, she is an amazing Australian quilter who creates and collects hundreds of quilts for charitable donation in her area. 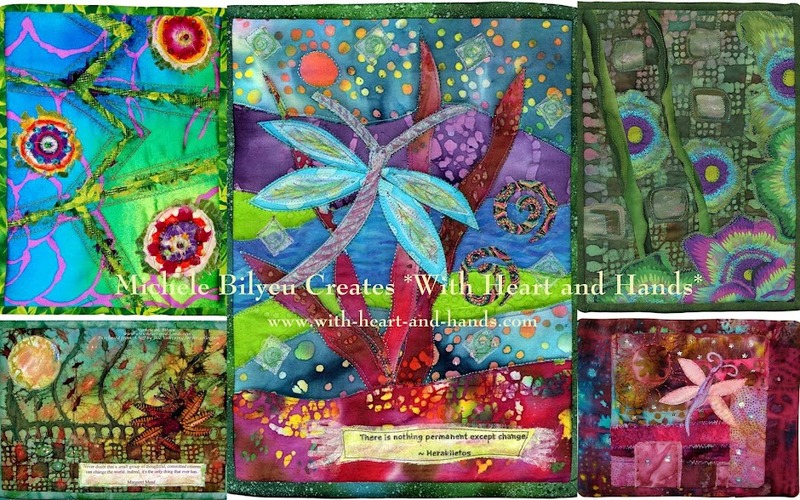 She supports so many wonderful causes, and is a prolific quilter, and knitter, as well. (And she received this really huge Australian award for all of her work, last year) Pretty cool! Love these quilts. Thanks for all your wonderful work for AAQI. You're a true inspiration. What a great quilt...I love the little spiders! They're beautiful! Makes me want to play in my Asian fabrics. Another wonderful Jan! This Jan is a dedicated AAQI quilt donator...gotta love the gals who make quilt after quilt for common good and not personal glory. Love that! Thank you, Jan...one of my Liberated Challenge Quilters! Jan has made over 70 quilts for AAQI...awesome!!!!! Quilting is addictive as we all know..but this is the good kind, isn't it ;) Chele ...to different from myself and the other one 'l' Micheles... is another Liberated Quilter, as well as a member of Orlando Modern. Play, Chele, play! Whoa baby! LOVE the idea of them selling as a pair...keeping my positive thoughts in alignment that they might BOTH go to a good home! Thanks, Libby!!! They are both beautiful but I absolutely love the spider one. It is gorgeous! You keep producing one amazing quilt after another Michele! AAQI would be at a loss without you and all you do . . . awesome! i have my fingers crossed that it will be my good home~! i've received these beauties and am pleased to say that they are even better in the cloth than pictured~! i've taken photos and will create a blog post soon. and now . . . i'm off to hang them on my living room wall. thank you Michelle. thank you for ALL that you do for the AAQI. i know that it's a great deal. thank you for being the generous soul that you are. thank you for sharing your great creative talents. i am so grateful to have acquired some of your beautiful work as well as be able to help with this important cause. THANK YOU. I love the quilt and the haiku! I also keep house casually!